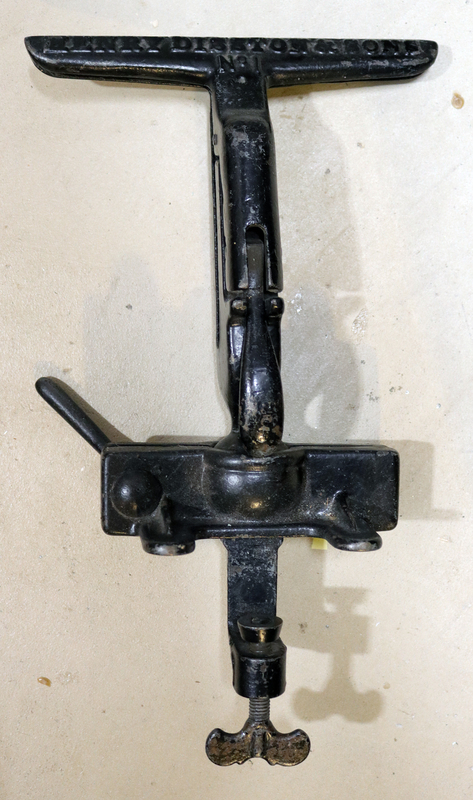 V1 Disston No 1 Vise - $275.00 : Welcome to the VintageSaws.com Online Store! 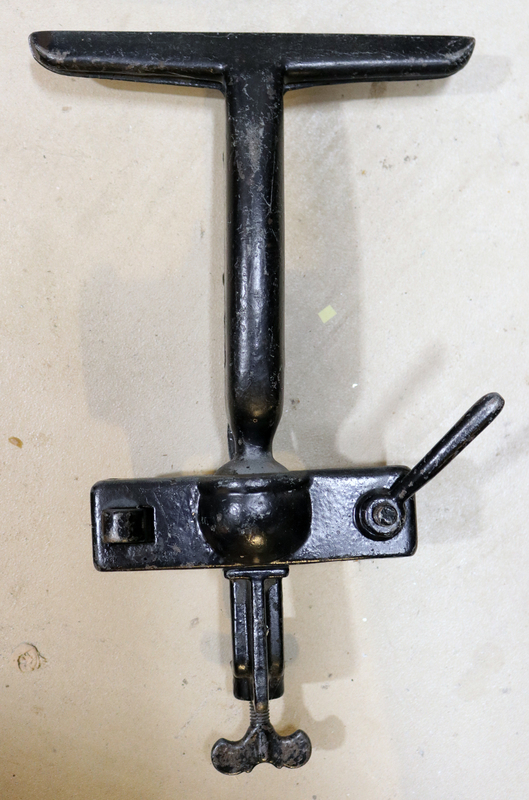 This saw vise has a lot of features. The ball style clamp allows for filing sloping gullets in addition to rotating the saw to build in the fleam angle. This is a very useful feature as you only need to file straight back to get the proper fleam angle. This is a near new example from around the turn of the 20th century. Will never need to upgrade.